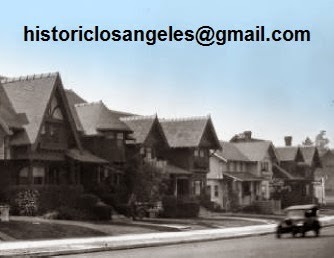 Appearing above not on Wilshire Boulevard but on the east side of Lucerne Boulevard just below Olympic, to where it was moved in late 1946, the bungalow once at 4656 was the personal project of real estate man William Robins Flood. In residence with his wife Jean by 1925, Flood remained in the house until his death in September 1935; Mrs. Flood moved out soon after, renting 4656 to James J. Orca. Its lot acquired for parking at the end of the war years by Farmers Underwriters, the insurance concern whose headquarters building had gone up next door in 1937, the house was moved by the company soon after the Department of Building and Safety issued a relocation permit on November 14, 1946. It came to rest at 1027 South Lucerne Boulevard, where it stands today. 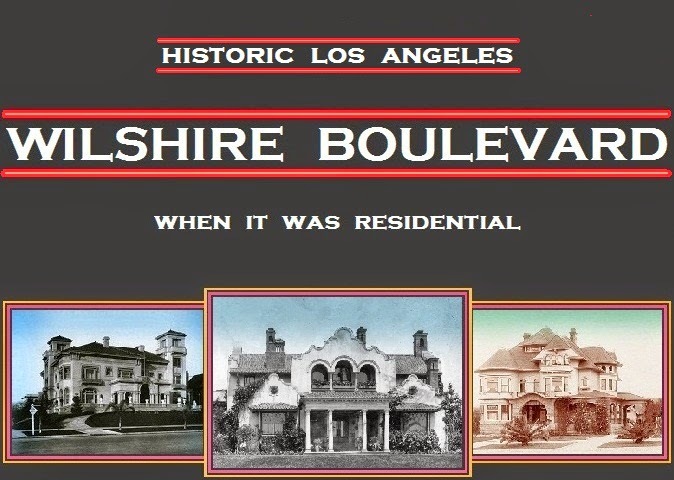 to which 4656 Wilshire Boulevard would be moved six years years later. Fremont Place lies just beyond the trees in the background.